FEAR BUDS – Andrew Cartmel’s run on the DWA comic strip continues as the Doctor and Jata the alien horse find themselves besieged by zombies at one of the top schools in the country. MATRIX CRAFT STUDIO – Enter the Matrix and build your own Time Lord Presidential Staff! You too can have the swag of a President of Gallifrey! 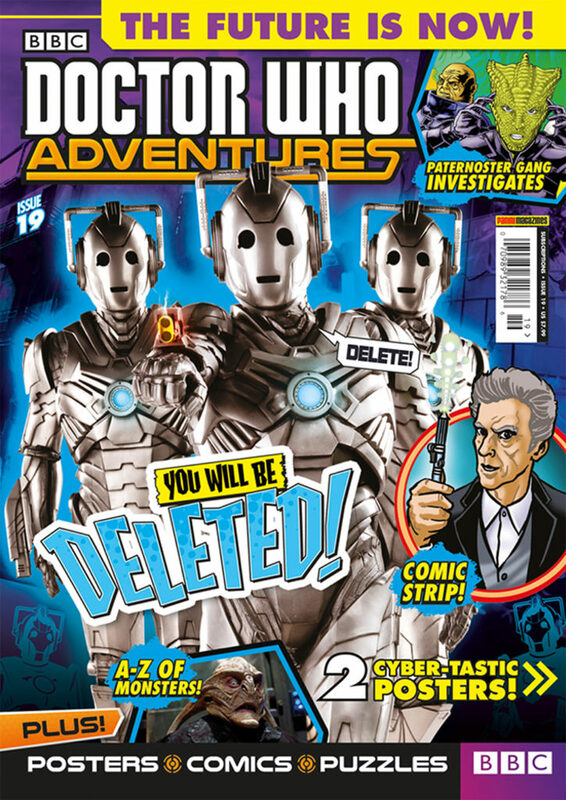 UNIT ALIEN ARCHIVE – Find out all there is to know about the horrendous Sandmen! RACE FOR SURVIVAL! – Who can escape the Daleks first? Missy, the Doctor or Osgood? STRAX AND THE TIME SHARK! – Strax and the Doctor have a bizarre game of bowls! THE PATERNOSTER GANG INVESTIGATES – The Paternoster Gang investigate the Insidious Ideas of the Danger Thinkers, in a terrifying tale from Rik Hoskin! 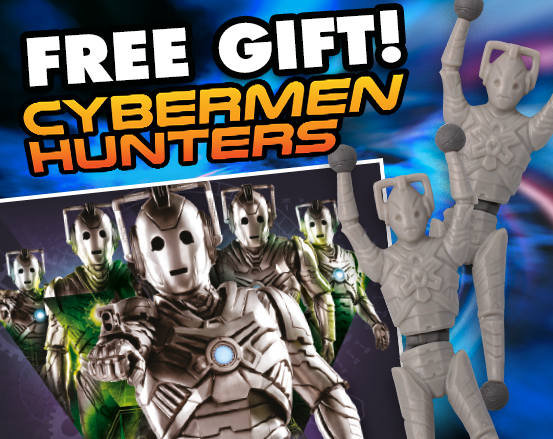 Doctor Who Adventures #19 comes with a FREE pair of wall-crawling Cybermen plus three Rory Story Cubes!